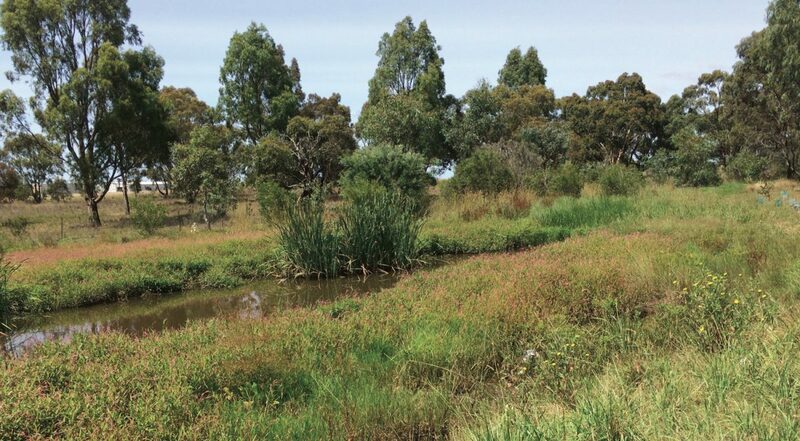 The City of Melton engaged Engeny to undertake the detailed design of rehabilitation works for Ryans Creek in Melton. Ryans Creek consists of a winding grassed floodway with a concrete lined channel in the invert and stormwater drains flowing into the creek from both sides via concrete lined channels. The existing state of Ryans Creek exhibits issues in water quality, sediment deposition and poor visual amenity. The key aspect of the design was the removal of the existing concrete channel, which will be replaced with a natural vegetated pilot channel, as well as improvement of outlets to the creek and the construction of a rock chute within a steep section of the waterway. Maintain 1% AEP flood capacity. Provide for water harvesting for Melton Botanic Gardens. Improve water quality by removing pollutants. Provide habitat for frogs, birds and other animals. Engeny’s efforts in corresponding with City of Melton and Melbourne Water throughout the project, as well as strong skills in design, resulted in Melbourne Water’s response on the first issue of design drawings having no comments on the civil works. The design works were completed within a tight time frame (less than 10 weeks from approval to proceed) in order to assist City of Melton with scheduling the constructions works within the low rainfall period.